Apple is publishing weekly rankings for its App Store in the UK for the first time. This week Apple began a partnership with the Press Association to publish weekly charts for paid and free apps on iPhone in the UK. These charts rank apps specifically on ‘sales and downloads’ in the UK App Store over the previous seven days. The first set of charts has just been published for the week ending 20 November. The Guardian’s app blog recently suggested that although similar charts are already available for all to see on the App Store itself, these new rankings reflect a more standardised weekly chart that highlights the most popular apps over a seven day period. Be aware that these ‘top rankings’ only include Apple’s apps and therefore do not consider apps released by other companies such as Google for Android; Research In Motion for BlackBerry; and Microsoft for Windows Phone. The charts published above (source- The Guardian) are topped by Dekovir Inc’s Amazing Breaker and Ming Liang Chien’s Hardest Game Ever (free iPhone). The rankings above suggest a consumer demand for TV apps, specifically Sky Movies, ITV Player – 40D Catch Up and Channel 5’s Demand 5. In addition to the charttoppers above, there are countless free and inexpensive Christmas apps for your iPhone. It makes you realise that it’s time to get ready for the Christmas countdown. It is a great choice for the younger members of the family. I’m sure you and they will love this iPhone app. It works like a standard glass snow globe. You shake your iPhone and you will see snow cascade over Santa to put you in the Xmas mood. It will cost you just about 60p. If you enjoy snow scenes then LetItSnow application is right for you. You will experience a virtual Winter Wonderland where you will be able to design your personal winter fantasy on your iPhone screen. Santa’s Run is an excellent iPhone Christmas Game by Broken Thumbs Apps. Santa’s Run is an exciting sleigh ride where you have the controls – although not too challenging for the experienced gamer, it is fun and addictive, and will get you and your friends into the spirit of Christmas! Likewise, Christmas Mishap is fun – Santa accidentally loses control over his sledge sliding down a slope – and you help him keep the gifts safe (or get them back into the bag). It sounds simple – but beware! It’s very addictive! An enjoyable game app for all the family at Christmas. Costs about 60p. Download 60+ Beautiful Christmas Iphone 4 Wallpapers to get you in the Xmas mood. Cut the Rope, is a really fun smartphone game. There is now a free standalone version for both the iphone and iPad that features new challenges and holiday-themed levels. Cut The Rope offers just the right mix of gameplay challenges, graphics that appeal to all ages, and a myriad of levels. The game, developed by ZeptoLab, comes with 25 new levels, holiday-themed obstacles, and finishes on a high with a new Rocket level to add to the fun. The game offers a bonus feature that lets you make greeting cards by adding the game’s mascot, Om Nom, to images from your iPhone image library. The game also acts as an advertisement for the other games in the franchise through in-app purchases. The holiday-themed version is only available for iOS iPhone devices. Finally, do you hate the thought of deciding what to buy for whom and how much to spend? Then the ToDo and Christmast Gift List management app is a must for you. It’s tuned to keep a track of all your spending – and can create individual budgets for all the people in your family, plus friends. Costs around 60p. If you are considering buying an iPhone for a lucky family member check out our Buy online webpage. The iPhone 3GS although not the latest iPhone is smart, savvy, inivative and extremely user friendly. The 3GS has a 3.5 inch TFT capacitive, responsive touchscreen. Additionally, the 3GS, like its younger models (iPhone 4 and 4S) runs on the latest iPhone operating system called iOS 5. This has updated and enabled users to access the latest techno savy apps and gives 3GS users a cool choice of over 3000,000 apps from iTunes Apple Store. The 3MP camera and video recording gives impressive results and you could upload videos to YouTube should you wish. The iPhone 3GS cannot multitask – which iPhone 4 & 4S can do with ease. The iPhone 3GS make good Xmas presents for you or your family – all you need to be aware of are the best deals and these are changing day by day but the most competitive are definately online. At present such deals are being offered by all the leading service providers in the UK mobile phone market. Orange offers an attractive £31- 24 months contract deal with an instant cash back of £100. The other benefits include free 200 minutes and 250 text messages per month. Visit the iPhone section of the Orange website to view these deals – look for the iPhone offers. If you don’t need so many minutes and texts then there is a cheaper, entry-rate tariff with Orange available for £20 a month for 24-months. For this you get a FREE iphone 3GS, 50 minutes/month, 50 texts/month and 100MB of data/month. You get 100 minutes talk time, 5000 texts and 500MB data allowance (you will not find a better package from the other mobile phone operators). You would get less talktime with a Three contract but over two years you would save £240 less the £100 cashback offered by Orange – which means you would be paying £140 more over 2 years with Orange for 100 minutes extra talktime per month. If you don’t want the hassle of a contract it is possible to buy a refurbished iPhone and then buy a SIM card linked to one of the network providers. An Apple iPhone 3GS in mint condition can cost about £150 – try mobilevaluer.com for a good comparison site. If you are nearing the end of a contract with a non-Apple phone, speak to your network re upgrading to an iPhone 3GS – ask for their best deal or you will consider changing networks. Apple’s latest software operating system (iOS 5) is a free upgrade from Apple – if you have an iPhone 4S, iPhone 4 0r an iPhone 3GS model. It is also free for most other Apple devices like the iPad and iPod Touch. This latest software has improved apps, linking apps and gaming to the latest iOS 5developments – many are free – for example Fanatix – enables fans of sport or music to join live chats about the latest events. Fanatix uses iMessage, Apple’s instant messaging system that sends texts over the internet – now you can join live chats about numerous events you may be watching on TV, radio or from the actual event. It covers thousands of events all over the world. Fanatax will find your Facebook friends who are watching the same events – linking you up -how cool is that! When you set up iOS 5 you were asked if you wanted ‘Find my Phone’ we recommend you choose this option as GPS will track your location – Foursquare has linked into this so that the new Radar feature makes that process automatic – you can check in withouit even taking the phone out of your bag/pocket. Foursquare enables special offers to your phone when you are out shopping or in a restaurant. Jesse Hollington, writer and Apps Editor for iLounge.com suggests that any applications that require Region Monitoring are not supported on the iPhone 3GS as it does not have the APIs necessary to support this. For built-in apps, that includes the ability to set location-based reminders in the “Reminders” app, but this also affects third-party apps that use Region Monitoring such as Foursquare’s new Radar feature and similar location-based contexts. The First Angry Birds store near Helsinki, Finland. The image above was from Rovio and posted on Facebook. ABC News’ reported the world’s first Angry Bird Store opened yesterday in Helsinki, Finland. Rovio, the bestselling game’s developer, is based 15 minutes outside of Helsinki. Gaming fans had been camping outside the store for days to be the first in line to purchase merchandise. Why not check out their latest on iTunes and join in the fun. Try’ Crazy Penguin’ new birds, new levels. AppPicker is a website that regularly sifts through hundreds of iPhone, iPod touch, iPad and Mac apps when they have reduced their price or gone free in the last 24 hours and hand select those you should consider picking up. Why not check out this site at your leisure to save you time and money. Are you looking for a free or really cheap iPhone – Check out these online deals today. The deals are not for pay as you go phones but would cost you less to own and use over a 2 year period. o2 – There are monthly contracts from £21.50 to £63 on o2. . o2 are also offering refubished iPhones are available from as little as £13.50 a month (includes a free refurbished iPhone 3gs). – Visit the o2 website for more information on this deal. 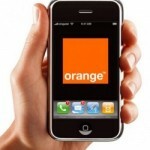 Orange – are offering the iPhone 3Gs for FREE on £15/month deals – Visit the Orange website. T-mobile – are offering the iPhone 3Gs for Free on £15.25/month (2 year contract – Visit the T-mobile website. O2 are also offering a free iPhone 4 16GB contract deal for £37 a month for 24 months + 600 mins+ 3000 texts + 500 MB. The iPhone 4 set the standard with its high-resolution Retina display, and long battery life. And with access to the world’s largest collection of mobile apps on the App Store, over 200 new software features in iOS 5, and iCloud, now iPhone 4 can do more than ever. The Orange shop are offering a free iPhone 4 8GB in black or white from £36 per month. Vodafone have a special contract offer for a free iPhone 4 16GB pay £41 monthly for 18 months. Check out their latest data allowance offer. They also have cheaper monthly contracts over a longer period (24 months). Free iPhone 4S from £43 a month contract for 2 years from Three Mobile, Orange, T-Mobile. Vodafone will charge you £46 a month and O2 start at £47 a month for your free Iphone 4S. The cheapest are the 16 GB, followed by 32 GB and 64 GB is the most expensive and probably most suited to you if you want to store films or have a large music library. The top data storage phones are less likely to be free so why not look at pay as you go? Or you might consider upgrading mid contract to an iPhone. Most providers are offering some good deals to their customers at present. For example, O2 and Three are offering considerable discounts to their customers who are nearing the end of their present contracts. The iPhone 4S is available for £499 from Three, the 32GB is £599 and the 64 GB is £599. Or what about secondhand iPhones where you do not have to commit to a contract? This can be an attractive option, saving you the initial depreciation that happens as soon as you open the box, and if you buy a fairly new secondhand one the manufacturer’s warranty will still be in place so you will be covered in the event of any faults. If you’re prepared to go slightly older, you can often pick up some real bargains with last year’s model going for a fraction of it’s original price. EBay is one of the best places to find secondhand iPhone bargains. Alternatively, a 32 GB iPhone 4 was recently sold by Fonebank for £284 and £250 from RPC Recycle. A growing number of Phone owners who are using the latest iPhone operating system- iOS 5 – are experiencing lower than expected battery life from their iPhones. Apple has admitted that bugs in the iOS 5 are responsible for this battery drain and are working to release a software update in the next few weeks to solve this glitch. Touch the “Settings” icon on your home screen. Touch the “Location Services” bar. Scroll down to the “System Services” bar at the bottom and click onto that screen. Switch “Setting Time Zone” into the “Off” position. It is not necessary to be on all the time unless you are travelling constantly. 2. Additionally, we suggest you also turn off “Location-Based iAds,” to prevent advertisements popping up when using free apps. You can turn off “Diagnostics & Usage,” too if you do not use the traffic function on your Maps app, you could turn off “Traffic” as well to save battery life. Touch the “Notifications” bar. This should be the third bar from the top. Look at the apps that are “In Notification Center.” If you can do without updates from apps there, touch on that app’s bar to be taken to the next screen. Switch “Notification Center” from “On” to “Off” for each app you don’t need. Move that bar to the left a little bit. 5. Lock your phone when it’s not in use (by pressing the silver button on top of the phone) will extend your battery juice. Additionally, you can set the auto-lock feature to work faster -this will save your battery life by locking the phone and turning off the display light. Choose 1 Minute or 2 Minutes. Scroll down to “Mail, Contacts, Calendars.” Select that screen. Touch the “Fetch New Data” bar. 8. If you have an iPhone 4S with Siri function, voice recognition, this software is at present a battery drain. If you are not using the Siri ‘Raise to Speak’ function, it makes sense to switch it off until you have the iOS 5.0.1 upgrade. Slide “Raise to Speak” to the “Off” position. We hope you find these tips helpful. Getting to know your way around your iPhone can be a satisfying experience. If you want to know more about your iPhone read our latest blogs or go to ‘Reviews’ on our website. The iPhone 4S has been released and marketed as having an outstanding battery. However, customers have reported that their batteries are draining in just a few hours. Users of the latest operating system – the iOS 5 – have been complaining in growing numbers that they’re needing to charge their iPhone far more frequently than they did when they were using iOS 4. When the new iPhone 4S was released in October we were told that it exceeded previous iPhone models’ talk time by one hour and battery life would be extended too. Apple had promised that the 4S would deliver eight hours of talk time on 3G, 14 hours of talk time on AT&T’s EDGE network, six hours of 3G browsing, nine hours of wi-fi, ten hours of video, and forty hours of listening to music. But UK owner’s of the new Apple 4S say their fully charged phones are running out of juice during the course of the day even with minimal usage. Initially purchasers of the latest iPhone 4S felt angry and frustrated until it became apparent that the new iPhone 4S is blameless. It would seem that owners of iPhone 4 and 3GS who had uploaded the latest free operating system iOS 5 were also experiencing some battery draining problems. The glitch appears to be inherent in the iOS 5 and Apple has confirmed that they have found a ‘few bugs that are affecting battery life‘ and they hope to release a software update to address these concerns in a few weeks. Apple engineers have suggested that the battery glitch was linked to the system location services on iPhone 4S using too much battery. Apple developers are now testing an updated operating system that solves the glitches – iOS5.0.1 beta and although this is not available yet, Apple have promised availability in ‘the next few weeks‘. The update will be accessed “over the air” and will not require a computer link for installation. Apple is not offering any advice on what customers should do until the software update is released so perhaps users of iOS 5 should keep their chargers close at hand. A review of the iPhone 4S is available on our website under ‘Guides’ – the iPhone 4S is still considered to be the classiest and smartest mobile phone in the market.